With more than 500 powder-topped ski resorts to choose from in Japan, deciding what snow field is best for you can be trickier than learning the snowplough turn. The large theme-park-style hotel has some particularly family-friendly facilities including an indoor wave pool, merry-go-round and games room, which is always a hit for kids. Meanwhile parents love the ski in/ski out convenience of the resort hotel, as well as the one- and two-bedroom apartment layout in the Rusutsu Tower Hotel. Out on the slopes are wide open runs that are immaculately groomed, along with some incredible tree runs perfect for getting deep powder runs. 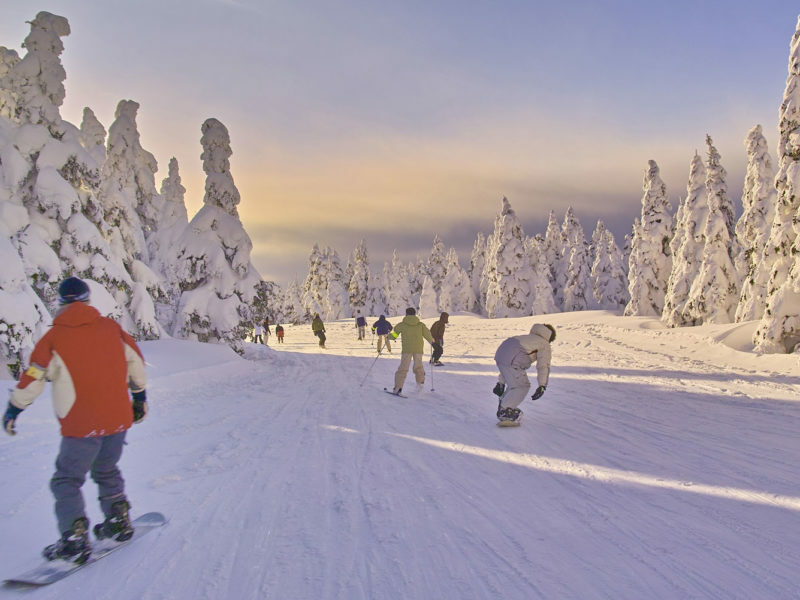 In essence, Rusutsu is quite the people pleaser, suitable for true beginners to advanced skiers and snowboarders alike. There are lots of activities to take part in around the resort other than skiing. At the more subdued end of the spectrum are idyllic horse rides through the snow, or speed things up with a snow mobile ride on the resort’s powder-covered golf course. Being a good sized resort with plenty of varied terrain, Hakuba Cortina is home to only one main hotel meaning crowds are minimal. Expect lots of good tree runs with steeper pitch – ideal for those deep powder days. Or for those feeling adventurous, there’s some very good side country easily accessible from the lifts. If you fancy doing a day trip from Hakuba, buy the lift pass-onsen-lunch deal that allows you to ride hard all day, feast on a hearty lunch then wrap up the day by relaxing in the Hotel Green Plaza onsen. It’s worth it! Hakuba spoils you for choice. There are 11 resorts that call Hakuba Valley home, but you only need one lift pass to cover it all. Offering steep terrain and incredible back country touring options, Hakuba offers a vast 960 hectares of skiable terrain to explore. Hakuba have a strict approach to off-piste skiing with it being heavily policed in some resorts. Sign up for a backcountry tour where a guide will take you to some of the best backcountry terrain in the area. Rated Japan’s best ski resort in both the 2014 and 2015 World Ski Awards, Niseko boasts an impressive array of accommodation including luxury chalets, apartments and resort homes, including a number of convenient ski in/ski out options. Throughout the cosy village are restaurants catering to all tastes, as well as fine dining and degustation experiences. There’s also no shortage of in-resort services and support. Hire deluxe gear from Niseko Base Snowsports and have the ability to change your equipment every day to suit the conditions. You’ll also enjoy free locker use, saving you the hassle of carting your ski’s to and from the lifts. Don’t expect Las Vegas, most Japanese ski resorts are quiet with the favourite ritual after skiing being an onsen before drinks and dinner at a local Izakaya. Niseko and Hakuba have the most options when it comes to letting your hair down. You can have a quiet drink or party till the early hours of the morning. Izakaya’s are casual Japanese restaurants that serve food to accompany a large array of drinks. They are great places to enjoy small dishes of local produce with ice cold beer, wine, spirits and of course, sake. Myoko Kogen is one of Japan’s oldest ski areas made up of three separate resorts Akakura, Myoko Suginohara and Ikenotaira Onsen. Akakura is renowned for some of the best vertical and longest runs Japan has to offer. The resort averages 14 metres of snow every season and is rich in history, culture and traditional onsen. Better yet for families, it has a great ski school offering English speaking lessons, as well as a kids club program for kids three years and older. Visit Jigokudani Monkey Park to see the snow monkeys relaxing in a hot spring onsen. 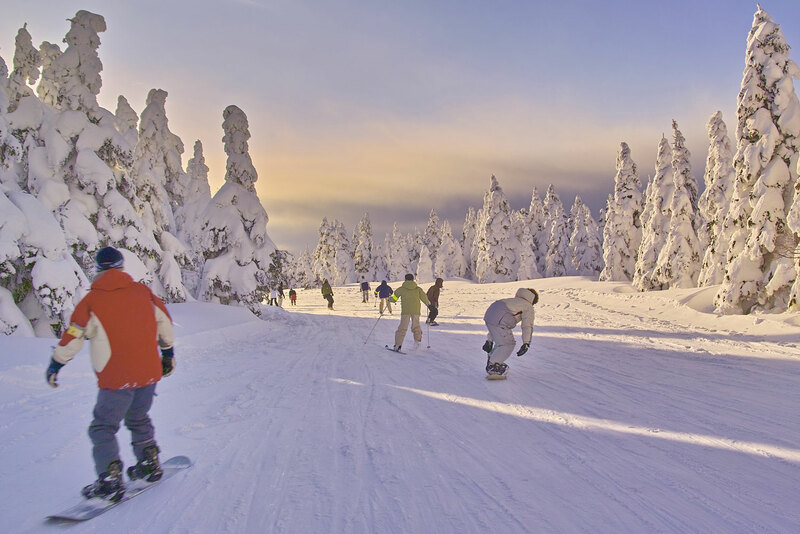 There are a number of operators offering day tours from Myoko Kogen and surrounding resorts. SkiJapan.com is a fully licensed travel agent, specialised in planning and booking Japanese ski holidays for Australians. All experienced consultants can organise your entire Japan snow escape with special packages, including airfares, accommodation, lift passes, transfers, stopovers, travel insurance, guided tours, ski/snowboard lessons and rental.